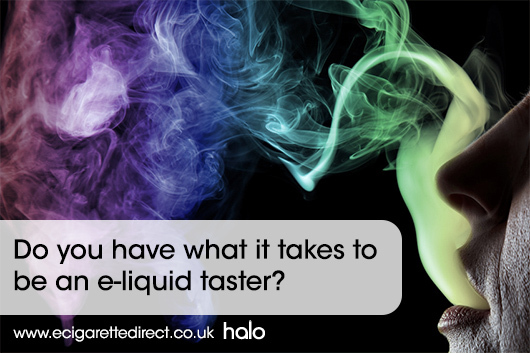 Do You Have What It Takes to Be an E-Liquid Taster? Are you an experienced e-liquid reviewer/taster? 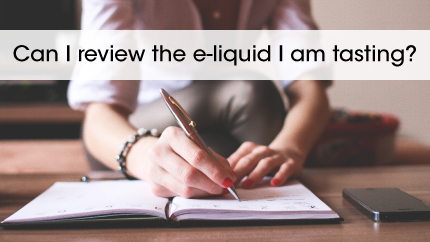 Are you an e-liquid reviewer or an expert taster? Are you interested in becoming involved in the development of new e-liquid flavours and the improvement of existing flavours? If so, we want to work with you! We make our own Halo UK e-liquid in our purpose fit laboratory and produce it to the highest standards (you can read more about our e-liquid testing process here). But we want to make sure our e-liquid is as tasty and satisfying as possible, and that is where we’d like your help. By providing us with your expert feedback, you’ll become involved in developing fantastic new e-liquid flavours – and make existing ones even better. * We’ll be providing BDC clearomisers and batteries as these are what the majority of our customers use, and our eliquids works best with these devices. There’s no requirement to use them, and you are free to use your favourite vaping device with the eliquid. A page for you personally on our website, with a live link to your site/Youtube account/forum page. * Based on number of reviews completed and quality of feedback. Please note that candidates must be residents of the United Kingdom. Once you have received your free e-liquid and hardware, we’ll ask you to fill in an online form with your feedback with any suggestions for improvement. We’ll also ask you to rate the e-liquid, and write a few comments on the flavour. 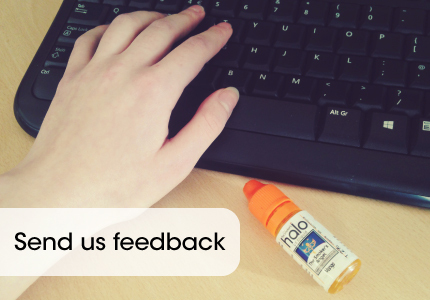 If a new flavour is approved, your comments may be featured on our website. E-liquids which receive a rating of good or excellent from at least 70%* of our panel will also receive a badge so that customers will know which e-liquids have been approved. *Given the highly personal nature of taste, we think it’ll be difficult to get flavours that every reviewer will like. We think 70% sets a high bar without excluding tastes that will appeal to different people. Please bear in mind any e-liquids you are sent will be under development or redevelopment. 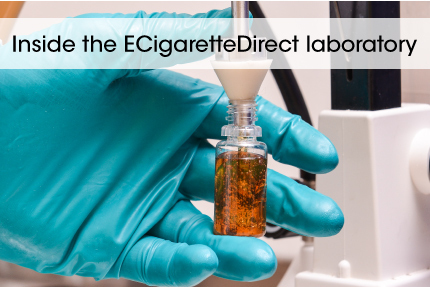 If feedback is not good, the e-liquid may not be developed, or it may be changed before it is produced. So while you are completely free to do what you want with the e-liquid, we’d prefer you to wait until the final e-liquid is produced if you would like to review it. 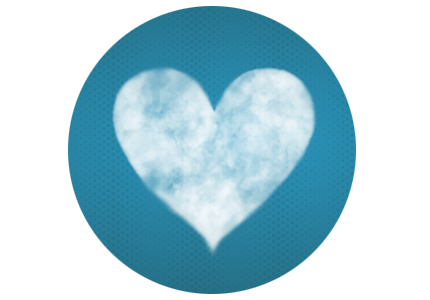 And of course, we’ll be happy to send you the final e-liquid! Then simply click here to complete our sign up form! Applicants must be over the age of 18. Applicants must be residents of the United Kingdom. . 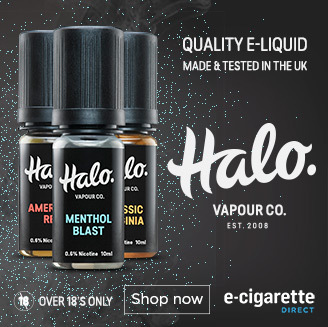 The HALO Flavour Explosion – and how to use group buying to get an incredible discount! I know I would be good at this because I have a very good palate and I know how to describe a flavor and if it would be an ideal flavor for long periods of vaping as some flavors become very nasty after a while such as Ex: lemon custard, or spear mint. With all the new flavor possibilities I would love to be one of the frontline guys to say yes or no to the wacky new flavors that may or may not become available on store shelves. As well as uploading taste reviews on my youtube page. I am very interested in becoming a tester, it has intrigued me how eliquid has developed over the years and how my own vaping style, tecnique and preferences have changed and grown. I have a very open mind when it comes to taste and range of eliquid and don’t get missled by the look of a fancy bottle or packaging. My husband and I own a The Vault Vapor Lounge in Oak Ridge, Tn. We are right on the county line of Knoxville, Tn., so we get a lot of customers from all over East Tennessee. We carry some of your flavors already and I think our customers would love to test and give their opinions on them. I think it would be a great way to get a lot of different opinions all in one place. 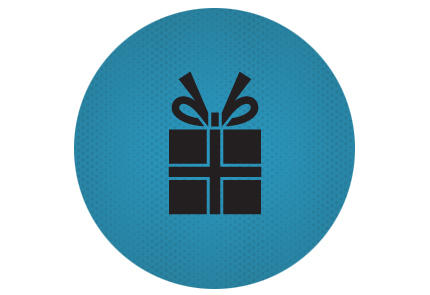 Do let us know if you are interested in us putting your testers in our store. Thanks, but I think you must be confusing us with Halo US, as we are UK based. I am a vapor and have been for 3 years now and I have tried sooooo many different flavors and kinds of ejuice, I do it for vape shops all around.. I would like to test and try a little with you company! I would love to be a tester as well been looking forward to vaping for some time now I believe it would help me out in a big way.